Dude. Home stretch and I was just about to nail it. So much for escaping the ugly Stretch-Mark Fairy. Demon is more like it. And not just one. It's like the whole underside of my belly was attacked by a toddler with the Deluxe Purple Crayon set. I am pretty sure I spent a solid block of my Thursday in a pregnant depression. Then it hit me. My pride. My poor pitiful pride. It had struck again. You see, I had been killing it. I would defy the odds. I would be that awesome person to gain weight slowly and perfectly. Be the one whose belly would emerge from 40 weeks of growing a human being unscathed. Que high fives to self. But no. Turns out I'm just as human as the next pregnant person. So after lots of tears-turned-pep-talk-to-self, I was reminded of something a friend told me several years ago. We were talking about pride and how it so quickly and quietly sneaks into our lives. Then she said something that has stuck with me all these years. She said she is thankful that God is gracious enough to allow humbling things into her life. Gracious because it's these moments that keep us from a life dominated by pride. So here I sit. My pregnancy weight goals surpassed, stretch marks to boot and potentially a couple weeks still to cook. How is this happening?! But after I fight off the tears over how my body has changed so much in so little time, I feel little bits of thankfulness deep inside that I will always have these humbling reminders of God's grace in my life. His graciousness by keeping this prideful heart in check. In other random news. Hello you Flattened, Squishy Belly Button, you. It's become the fascination of my little sisters and they can't keep from rubbing and exclaiming over it every time we are together. Glad it can bring joy to someone in this world. Come sweet Baby, come. The turkey timer's done popped. you are beautiful!! I am 18 weeks pregnant and two weeks ago (way to early!) already feeling bigger than I should, worried about gaining to much weight, comparing myself to others. and realizing not quick enough how superficial all that was. I have this healthy miracle growing inside me that I prayed for such a long time and was wishing for something more? that doesn't even matter? I think it is normal to feel those things, but so wise to know that they don't matter. That your sweet baby will be so worth it. Hope I can continually remind myself of that as I have a long way to go! I call them my pregnancy battle scars. I had ONE mark with my first and then a road map appeared with my second. Bummer. But the good news is those stretch marks fade, although you will never be the same again--physically, spiritually, as a human being--once you become a mommy. It's quite beautiful really. I think I will always remember these things as God's graciousness. Thank you for the wonderful thought. PS. You are a super cute pregnant lady!!! From one pregnant lady to another, you look adorable. Pregnant weight is so hard to grapple with because you know that it is important for that precious little baby, but you feel like you lost control of your own body somewhere back in the first trimester. Hang in there and be kind to yourself - you are growing a human being and it is hard work! 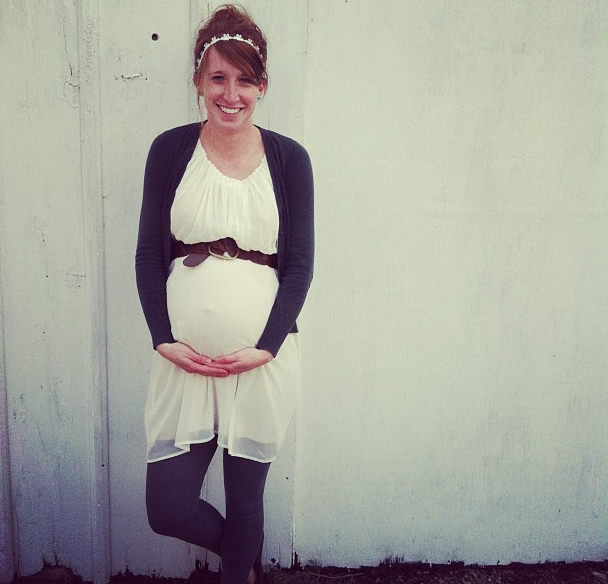 You are seriously one of the most beautiful pregnant ladies I've ever seen! Stretch marks or not, every time I look at your blog or instagram I think "dang, I hope I look like her when I'm pregnant one day!" You are too cute!! I have never been pregnant, but I could understand where you are coming from. Stretch marks are a small price to pay for a beautiful little baby...every time you get discouraged just think about holding that little bundle in your arms one day soon! :) Pride is rough sometimes huh? Always gets us when we are least expecting it. well i think you look great! and as my friend ally always told me " i can't wait to earn my gut". she was trying hard to get pregnant at the time. and it IS good to be humbled because "God opposes the proud and gives grace to the humble". oh how i long for His grace in my life. Awe...sorry about the stretch marks, but what a beautiful testimony through it. Thanks for sharing this, even though I'm sure it must have been a bit hard to do. =) Now to not develop pride over comments on this post...haha! =P Always my biggest struggle. =) Praying for you in this last little bit, and I'm very excited to see lots of pictures when baby Neesby is born!